Very nice job on the caboose. I like its no-nonsense lines and the color. nice classic lines. The caboose looks sharp. Well done! Moving right along on the 1st gon. Not much I can do with the underbody other than to mock up some bits there to fill the space. Topside exterior though was ripe for adding lots of small bits. All those nbw's...makes me cross-eyed just to think about drilling all the holes! Do you use a motor tool to drill? I have a small variable speed drill press that I used for the sides. I also have a battery powered Dremel for the ends. Martin, I've been away and just getting caught up with your beautiful work. That's a great looking caboose and I all the NBW's on the gondola sure give it character. Nicely done. I hope to get this gon wrapped up this weekend. So little time, so many cars to build. Looking really good, Martin. 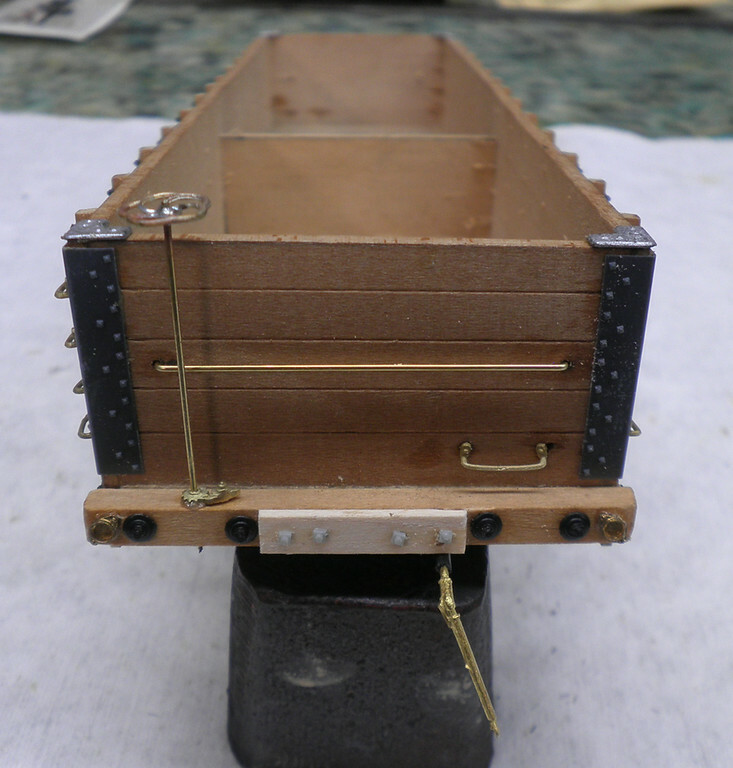 This kit is wood, but can you slow your battery powered Dremel enough to drill thin styrene? I have a corded Dremel and its slowest speed still melts styrene almost instantly. Mine has a "Fast" and "Slow" setting; MiniMite Model 750. The corded Dremel generally has a cut off wheel in it and maybe an end mill or a drum sander in it at most. Rarely use it with any other tool in it. Will be using a tool in it for cutting out electrical box holes in drywall (I think...) to remove the spline from a cane seat chair so I can install a new seat. 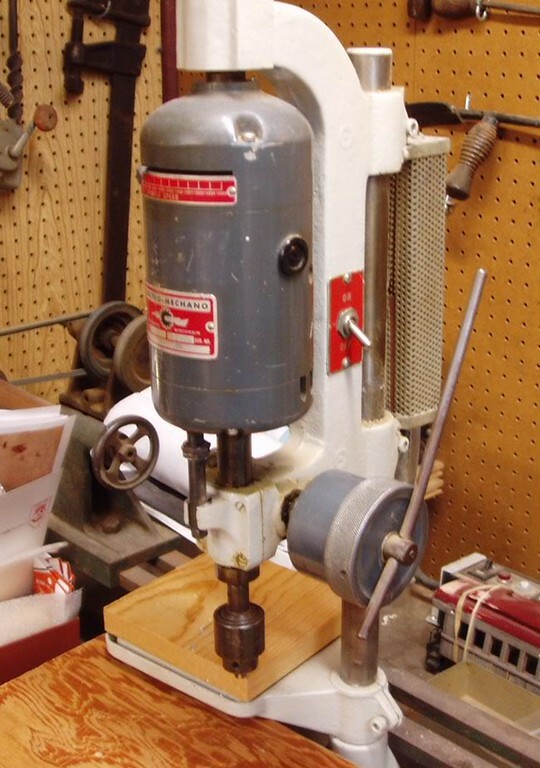 Here's the variable speed drill press that I use.